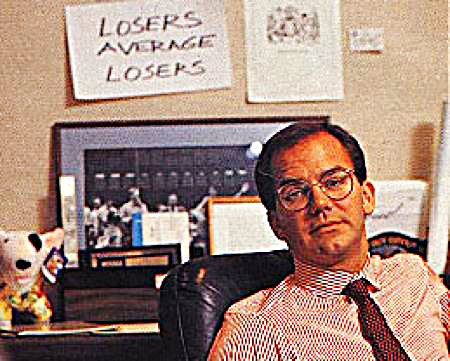 Today’s post is a profile of Guru investor Paul Tudor Jones, who appears in Jack Schwager’s book Market Wizards. His chapter is called The Art of Aggressive Trading. 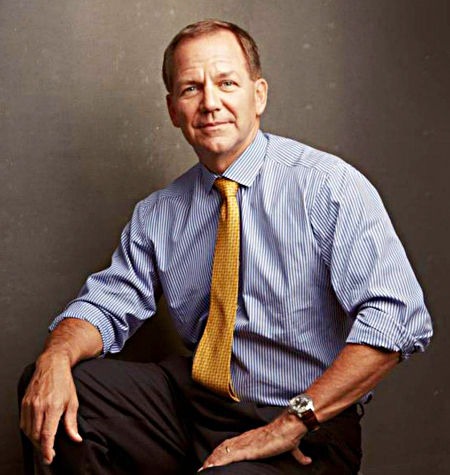 Paul Tudor Jones is a trader of stocks, bonds and FX, mostly vias futures contracts. He features in Jack Schwager’s original Market Wizards book, where his chapter is called The Art of Aggressive Trading. As well as the nice recent portrait above, I couldn’t resist including the picture below from the 1980s, which is one of my favourite ever pictures of a trader. Jones first got interested in trading when he read an article about Richard Dennis (who we covered earlier in this series). Jones’s uncle had once been a cotton trader, and Jones asked him for help in getting started. His uncle Billy sent him to Eli Tullis, a famous trader, who offered him a job on the floor of the New York Cotton Exchange. Jones worked as a floor clerk, analysing the market in his spare time. After six months he went back to New Orleans to work directly for Eli. Eli traded in large size, and didn’t try to hide his positions. Jones still tries to hide his positions, but experienced people in the pit would know when he traded. Tullis also taught him how to trade in large size. If the old high was at 56.80, there are going to be a lot of buy stops at 56.85. If the market is trading 50.70 bid, 50.75 offered, the whole trading ring has a vested interest in buying the market, touching off those stops, and liquidating into them. By watching Eli, I learned that even though markets look their very best when they are setting new highs, that is often the best time to sell. To some extent, to be a good trader, you have to be a contrarian. Jones began as a broker, making $1M in commissions in his second year. In 1979, Jones lost 65% of his (and his customers’) equity on a single trade in the cotton market, simply from trading too many contracts. He had been trading less than four years, and was up around 300% before the trade. Instead he decided to learn discipline and money management, and he never over-traded again. In 1980 he became a floor trader on the New York Cotton Exchange, making millions over the next four years, with only one losing month. In 1984 he launched the Tudor Futures Fund with $1.5M under management. By 1988, the fund was worth $330M, and each $1,000 invested had become $17,482. He stopped accepting new money in October 1987. Schwager asked Jones whether managing a lot of other people’s money made it more difficult to be profitable. Schwager: Do you think you could make a substantially higher percentage return if you were trading smaller amounts of money? Schwager: Do you ever question whether the detrimental impact of size on your performance outweighs the fees you earn? Jones: I think about that question every day. Jones has a contrarian style, looking for turning points in the market. Schwager asked him how many times he would try to pick a turning point – getting repeatedly stopped out – before giving up. Until I change my mind, fundamentally. Otherwise, I will keep cutting my position size down as I have losing trades. When I am trading poorly, I keep reducing my position size. At the time of the interview, Jones was six months into using a trend following system. The basic premise of the system is that markets move sharply when they move. October 1987 was the worst month for most investors since the 1930s. In contrast, the Tudor Futures Fund made a 62% profit, largely by following a model of the 1929 crash as a playbook. This lack of correlation to other people’s returns is not unusual, since Jones has a maverick, contrarian style. For five years in a row he made close to 100% a year (the worst year was 1986, up “only” 99.2%. I don’t break it down trade by trade. My goal is to finish each day with more than I started. I can always tell a rookie trader because he will ask me, “Are you short or long?” Whether I am long or short should have no bearing on his market opinion. Next he will ask “Where are you long from?” Who cares where I am long from. I got out of the brokerage business because I felt there was a gross conflict of interest. If you are charging a client commissions and he loses money, you aren’t penalized. Eighty-five percent of my net worth is invested in my own funds, primarily because I believe that is the safest place in the world for it. The first thing I do is put my ear to the railroad tracks. Prices move first and fundamentals come second. I don’t just use a price stop, I also use a time stop. If I think a market should break, and it doesn’t, I will often get out even if I am not losing any money. Increase your volume when you are trading well. eg. in front of key reports & numbers – “that is gambling, not trading”. If you have a losing position that is making you uncomfortable, get out. You can always get back in. The only relevant question is whether you are now bullish or bearish. Think of your entry point as last night’s close. Focus on protecting what you have. Play great defense, not great offense. It took a bad loss to teach him the importance of discipline, risk control and money management, which then became central to his approach. 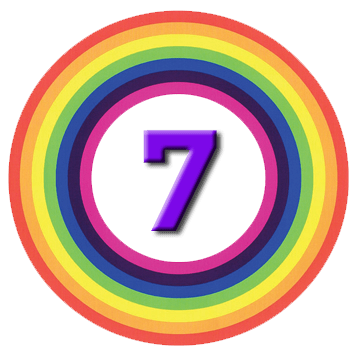 This far in to our series of articles on gurus, his trading rules will seem familiar, but they are worth paying attention to nonetheless.